This is a pretty important question, answered on our Microsoft Community Answers forum. The net-net is you MUST upgrade via the free upgrade offer before you wipe your PC’s hard drive in order to make it possible to reinstall & activate at no cost in the future. The free upgrade process registers your computer’s hardware footprint in the cloud so that in the future, if you wipe & reload Windows 10 on your PC, it’ll automatically reactivate on it’s own based on the consistency of your hardware. Q: Can I clean re-install Windows 10 after upgrading? A: Once your device upgrades to Windows 10 using the free upgrade offer and activates online automatically, an entitlement is registered to your PC’s hardware for your edition of Windows 10. (If you go to Settings >> Update & Security >> Activation says “Windows is activated”.) Now you will be able to clean install (i.e. boot from media and install Windows 10) the same edition of Windows 10 seamlessly without having to enter a product key. Make sure your PC is activated by going to the Settings >> Update & Security >> Activation. If the activation has not completed, you can click the Activate Now button to complete the activation process. The automatic online activation will occur seamlessly after clean installing Windows 10 if the device had previously upgraded and activated online, with the same edition of Windows 10. 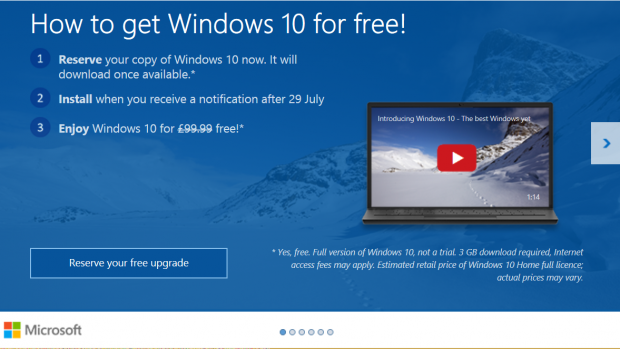 You CANNOT activate Windows 10 using a Windows 7 or Windows 8/8.1 product key. Upgraded Windows 10 PCs do NOT use unique product keys for Activation – all upgraded Windows 10 PCs use the same generic product key that activates ONLY if you launched upgrade while booted in your Windows 7/8 system. Keep in mind that if the hardware configuration of your Windows 10 device changes significantly (e.g. motherboard change) Windows 10 may require re-activation on the device. This is the same experience as prior versions of Windows (e.g. Windows 7 and Windows 8.1) and you’ll need to contact Support.